Toronto, ON, 05/10/15: The Sunburst Award Committee is pleased to announce the winners of the 2015 Sunburst Award for Excellence in Canadian Literature of the Fantastic in the Adult and Young Adult categories. The winner of the 2015 Sunburst Award for Adult Fiction is The Back of the Turtle by Thomas King (HarperCollins Publishers, 2014). A compelling tale of our ongoing ecological and economic crisis, Thomas King’s The Back of the Turtle is also a comic myth which reminds us that, in First Nations traditions, there is still hope for the future. A mix of near-future narrative and timeless fable, the novel tells the story of a corporate malfeasance resulting in environmental disaster and protagonist Gabriel Quinn’s search for redemption for his role in this disaster as a scientist working for the corporation responsible. Moving adroitly between past and present, the legacies of colonial history and the promise of a world beyond corporate greed, The Back of the Turtle explores how our actions are entwined with the stories we tell ourselves about our origins and urges us to think about family and futurity in expansive ways. 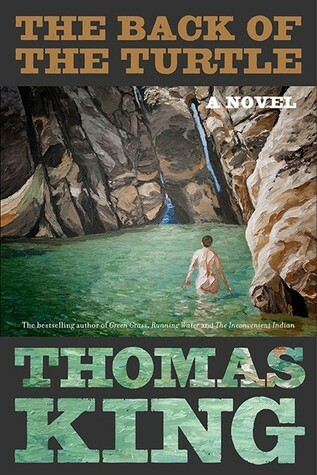 Thomas King is an award-winning novelist, short story writer, scriptwriter and photographer of Cherokee and Greek descent. His acclaimed, bestselling fiction includes Medicine River; Truth and Bright Water; One Good Story, That One; Green Grass, Running Water; and A Short History of Indians in Canada. 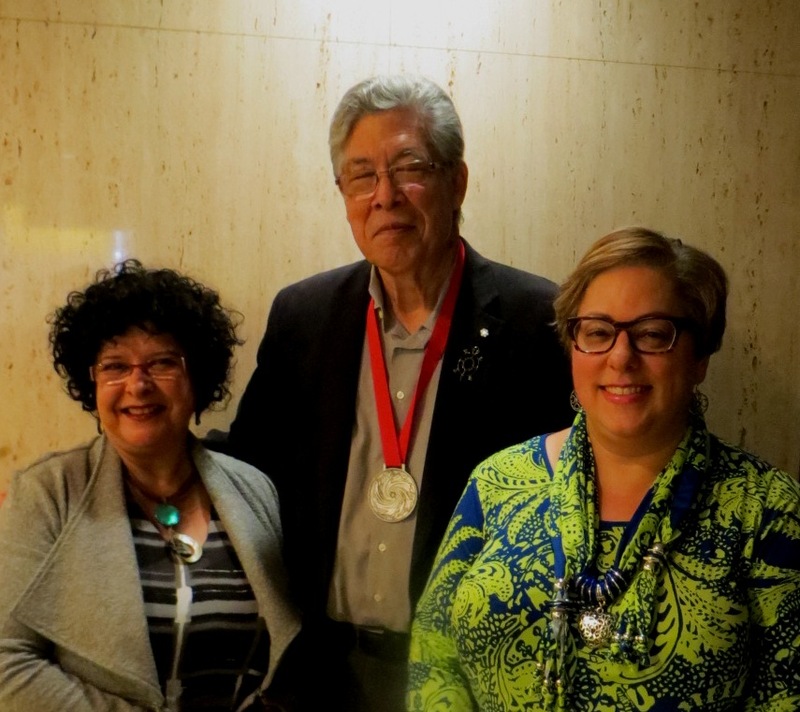 A member of the Order of Canada and the recipient of an award from the National Aboriginal Foundation, Thomas King is a professor of English at the University of Guelph, Ontario. 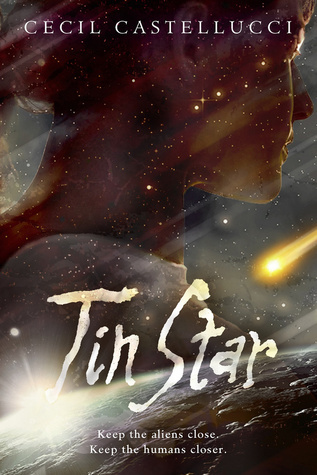 The winner of the 2015 Sunburst Award for Young Adult Fiction is Tin Star by Cecil Castellucci (Roaring Brook Press, 2014). Tin Star is a gritty, compact science fiction novel that travels far beyond the usual orphan tropes of much young adult fiction. Tula is a teenaged girl overwrought with thoughts of revenge after her parents are murdered. Left behind on a shabby space station populated with all manner of alien life, Tula must learn to fend for herself if she is to survive. Castellucci handles notions of cultural difference with a deft hand, moving Tin Star beyond the sort of human-centeredness typical of traditional space operas. The spare prose paints a vivid picture of Tula's struggles between her desire for vengeance and her yearning for a life beyond grief, and her refusal to view human manners as a default form of "normal" is reminiscent of the best of science-fiction such as Ursula Le Guin's The Left Hand of Darkness. A powerful, melancholy, and ultimately surprising work, Tin Star is a coming-of-age tale that will resonate with any reader with a pulse. Cecil Castellucci is the author of young adult books and graphic novels including Boy Proof; The Plain Janes; First Day on Earth; The Year of the Beasts; Stone in the Sky and the Eisner nominated Odd Duck. Castellucci is the Children’s Correspondence Coordinator for The Rumpus, a two time MacDowell Fellow, and the founding YA Editor at the LA Review of Books. She lives in Los Angeles. The 2015 Sunburst Award jury was comprised of S.M. Beiko, Gerard Collins, Paula Johanson, Corey Redekop and Sherryl Vint. The Sunburst Award Society thanks Kobo Writing Life for providing their jurors with e-readers. Jurors for the 2016 award will be Timothy Anderson. Sylvie Berard, Virginia O'Dine, Dale Sproule and Myna Wallin. Due to an unexpectedly overwhelming number of submissions, the Sunburst Award Committee and the jurors made the decision to postpone the launch of the first short story prize until next year. The number of novels submitted for the awards reached an all-time high, and there was not enough time remaining to give the short stories the attention they deserved. Winners of the Sunburst Award receive a cash prize of $1,000, as well as the distinctive Sunburst Medallion which incorporates their logo. Past winners and nominees of the Sunburst Award include such authors as Kelley Armstrong, Margaret Atwood, Cory Doctorow, Charles de Lint, Nalo Hopkinson, Guy Gavriel Kay, Eden Robinson, Robert J. Sawyer, and Margaret Sweatman. For additional information about the Sunburst Award—including nominees, jurors, previous winners, eligibility, and the selection process—please visit The Sunburst Award Committee website at www.sunburstaward.org.